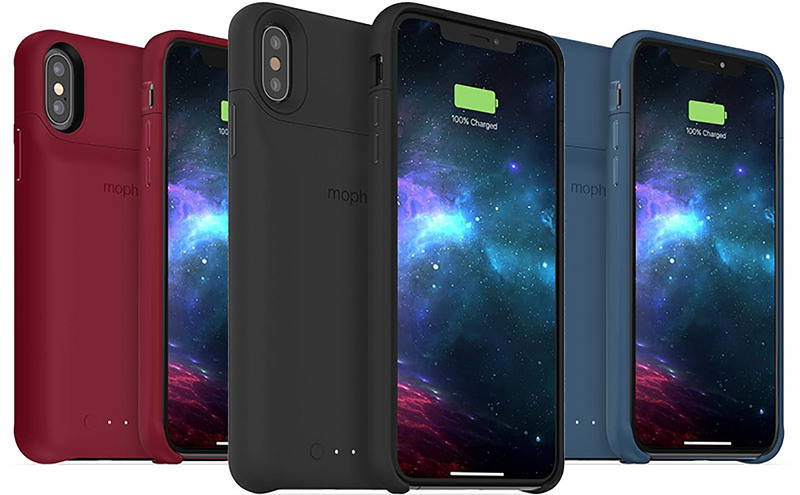 There are few bigger names in the world of battery cases than the folks over at Mophie, so when the company announces that there are some new iPhone battery cases on the horizon people tend to take notice. That’s exactly what happened today, with Mophie lifting the lid on the all-new Juice Pack Access battery cases for the iPhone XS, iPhone XS Max, and iPhone XR. All three models of Juice Pack Access will go on sale in the first quarter of 2019, and Mophie says that the iPhone XS and iPhone XR versions will ship with a built-in 2,000 mAh battery. A larger 2,200 mAh battery is reserved for the larger iPhone XS Max, and no matter which one you buy you’ll get four LEDs on the back to help indicate the current charge level. As far as protection goes, each case is made of polycarbonate, with a soft-touch finish. That will make it suitable impact resistant, which is the kind of thing that comes in handy when you’re buying a case. Though admittedly, the additional battery life is likely the main draw here. Whether you’re picking up the iPhone XS, iPhone XS Max, or iPhone XR variant of the Juice Pack Access you’ll have to hand over $119.95. Color-wise, buyers will be able to choose from gold, navy, red, or black. Best of all, there’s support for Qi wireless charging and the case can also be recharged using USB-C while Lightning port at the bottom is free for connecting additional accessories such as a wired headphone. Mophie makes some great battery cases already and with Apple still not offering its own Smart Battery Case despite rumors suggesting one is imminent, this is a great option for anyone looking for some security and battery life in a single package.